On Wednesday, Air Force One will land at Mansfield-Lahm Airport, the home of the 179th Airlift Wing of the Ohio National Guard and the C-27J Spartan cargo aircrafts they fly. Obama’s proposed budget would eliminate the C-27J program and would leave the 179th without a flying mission, thus jeopardizing the 800 jobs located on the base. When asked about the issue at the daily White House briefing today, Press Secretary Jay Carney was "not aware" of the issue. "Mansfield cannot sustain another loss of this magnitude. The blow we took from the General Motors plant closing put several thousand people out of work. Taking jobs away from Mansfield by ending the 179th Airlift Wing's mission is simply an irrational decision" (Editorial, "Mansfield Cannot Stand To Lose 179th," Mansfield News Journal, 2/16/12). 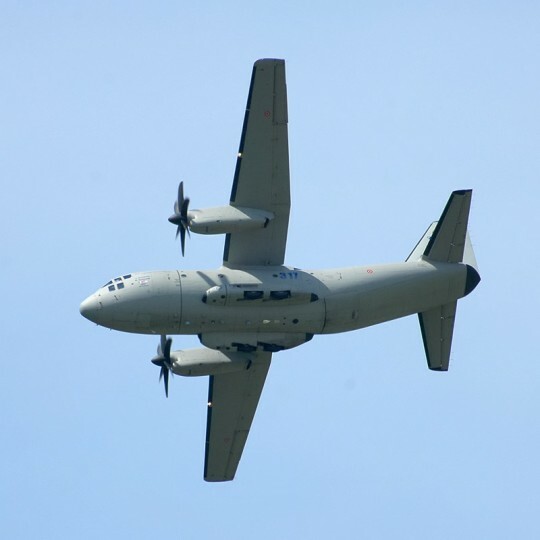 "While we do need to make some tough decisions on how to continue to meet our national security needs while reducing our deficit, the C-27J is more cost-efficient than other aircraft and it is a vital part of our military mission—and that’s why eliminating the C-27J would be detrimental to both our national security and the Mansfield community." "While the Department can and should find savings as we seek to rein in government funding, I’m troubled with their proposal to significantly reduce the force posture and personnel of some Air National Guard and Air Force Reserve units in Ohio, which could impact some unique national security capabilities." The 179th Airlift Wing is one of the top-performing units in the country. At the National Guard Association of the United States (NGAUS) Awards earlier this year, the 179th won a number of honors, including "the Spaatz Trophy presented to the overall outstanding flying unit in the Air National Guard." This entry was posted in Politics and tagged Air Force One, Barack Obama, National Guard, Obama Economy, Ohio, Rob Portman, Sherrod Brown. Bookmark the permalink.